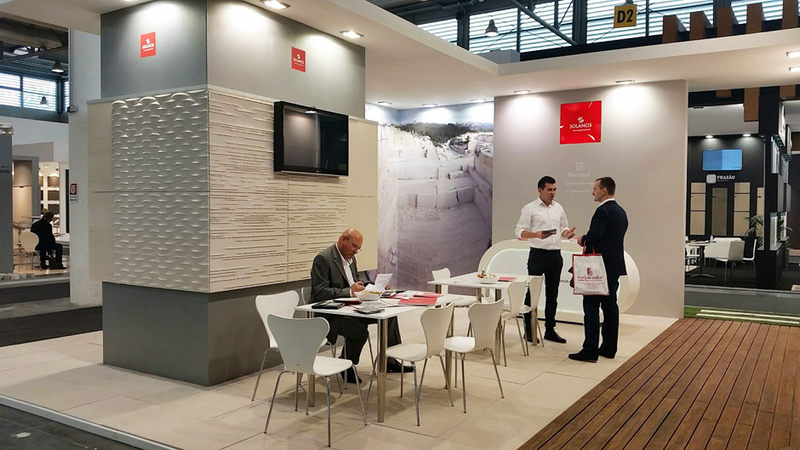 The new stone was the centre of attention at the SOLANCIS stand in a year in which a record number of visitors attended the fair. 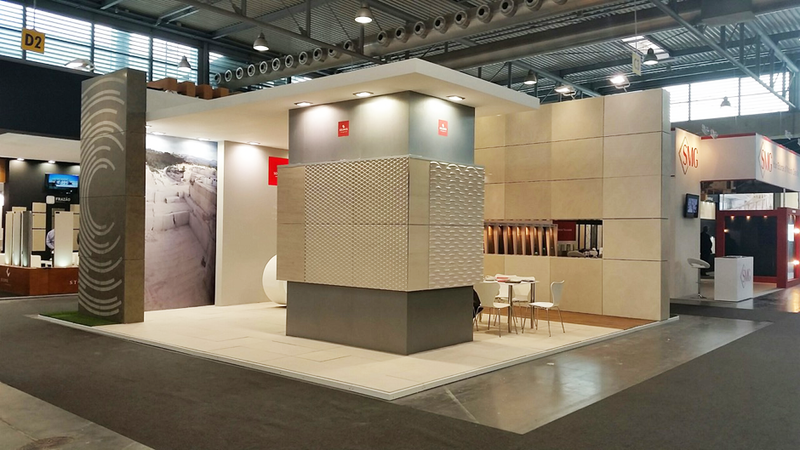 SOLANCIS officially launched the Saint Raphael Dore stone and the event chosen for the launch was Marmomacc, which was held in Verona from the 30th September to the 3rd October. In the year in which the event celebrated its 50th anniversary, and which attracted the largest number of visitors, around 67.000 people had the chance to appreciate the Saint Raphael Dore stone in situ. 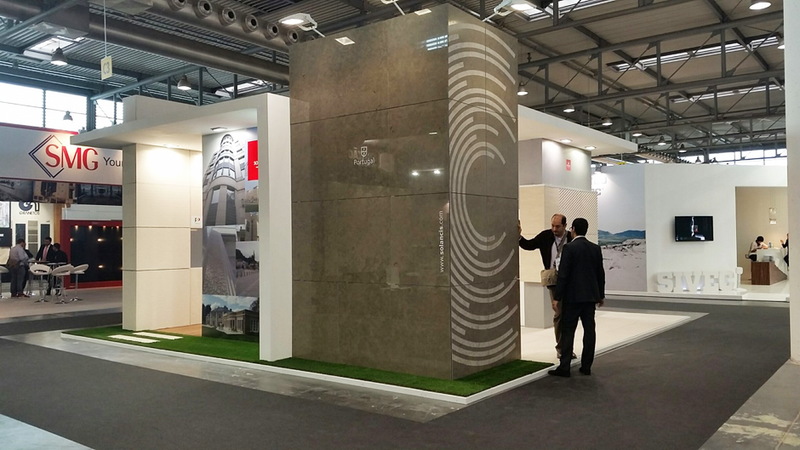 The stone was displayed in a prime location at the SOLANCIS stand, covering a 32m² ventilated facade with various finishes (honed, scratched, brushed, bush-hammered and sand blasted). 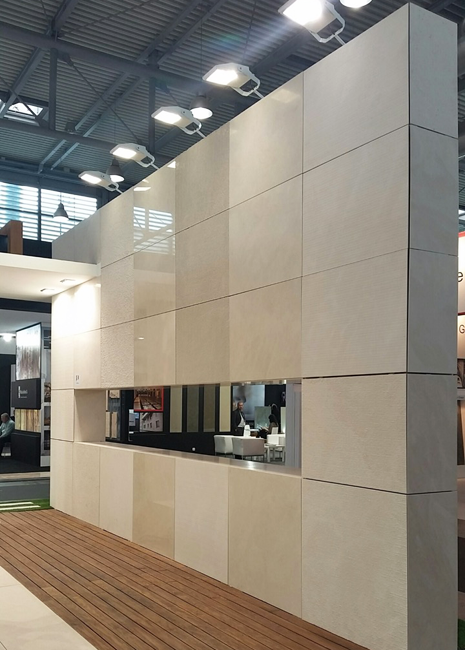 Extracted from the Codaçal nº2 — Rafaéis quarry, Saint Raphael Dore is a light beige limestone with a compact look, containing small, light brown fossils and grains. 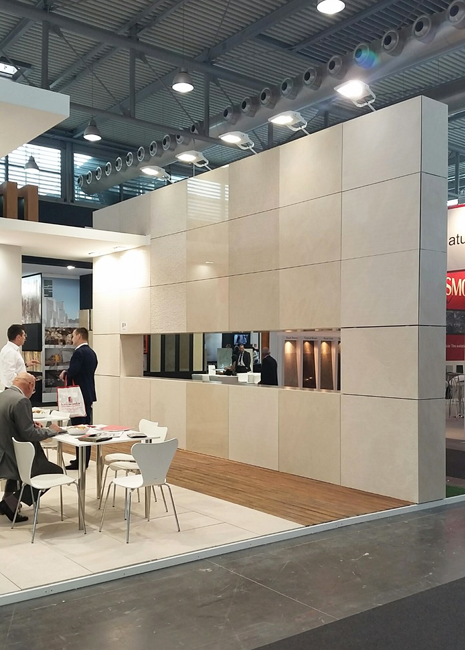 There are a variety of possible applications for the Saint Raphael Dore stone, the most appropriate being for medium traffic paving, façades, interior cladding and masonry. See the official Saint Raphael Dore page or ask for more information here.